 The Louisville Metro Office of Housing and Community Development is teaming up with the Louisville Affordable Housing Trust Fund to create a Housing Needs Assessment for the city. 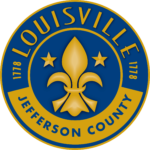 LOUISVILLE, Ky. (WDRB) — The Louisville Metro Office of Housing and Community Development is teaming up with the Louisville Affordable Housing Trust Fund to create a Housing Needs Assessment for the city. The two groups are paying around $100,000 for consultants with Mullin and Lonergan Associates to perform the study. The Housing Needs Assessment will create a comprehensive map of what the current housing needs, options, quality and price ranges are across the city. Gabe Fritz, the Office of Housing and Community Development director, said the study will help the city along with private and non-profit developers create strategic affordable, public and private housing developments for the next five, 10, 15 and 20 years. As part of the study, the group is hosting public input meetings to collect your feedback and suggestions. Fritz said the city wants to understand how people feel about the current housing situation and learn about your experiences with finding places to live. The first meeting was Wednesday afternoon at the Edison Center. The second meeting was Wednesday from 6-8 p.m. at the South Central Regional Library. The third and final meeting will be Thursday, May 24, from 10 a.m. to noon at the Middletown Firehouse at 108 Urton Lane. If you cannot make any of the public meetings, there is an online survey available. Fritz said the survey should take less than 10 minutes to complete and will be available until May 31. After the public input meetings, the group will conduct condition surveys of the homes and complexes across the city, which is split into 21 different markets. “That’s to assess the supply and demand and potentially the gap for certain housing types and certain housing price points,” Fritz said. Fritz added that the ultimate goal is to provide more housing options at better prices all over the city, to meet not only what people need but also what they want. Fritz said he hopes to see a draft report by the end of the fiscal year and the final report by the fall.